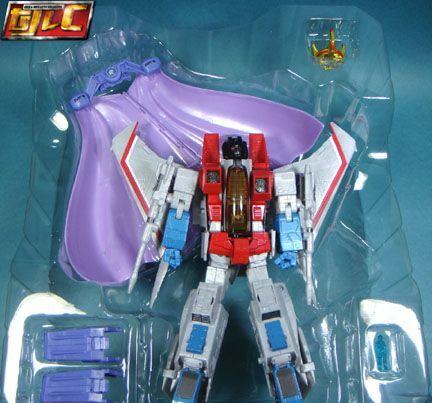 Admittedly, I was going to pass on this, but changed my mind when I saw pics from collections online. 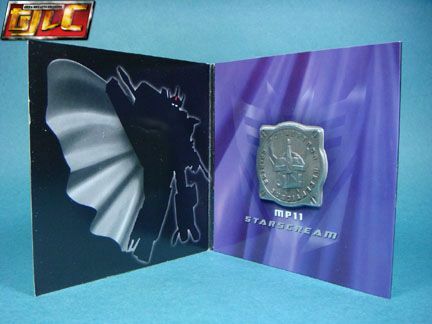 Oh, boy, was I glad I got this. 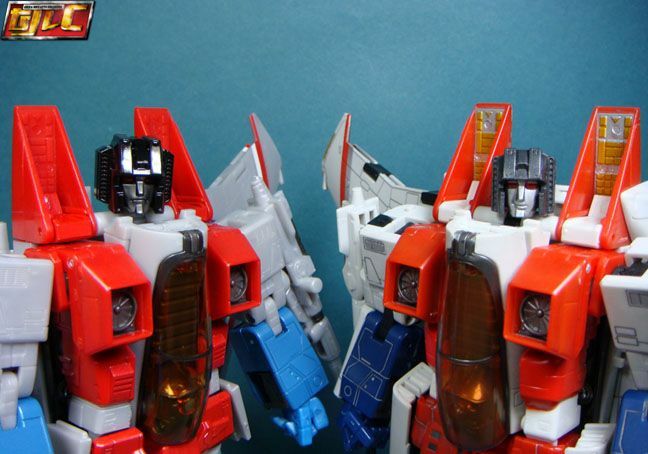 The final impression was same with the MP10 Prime. 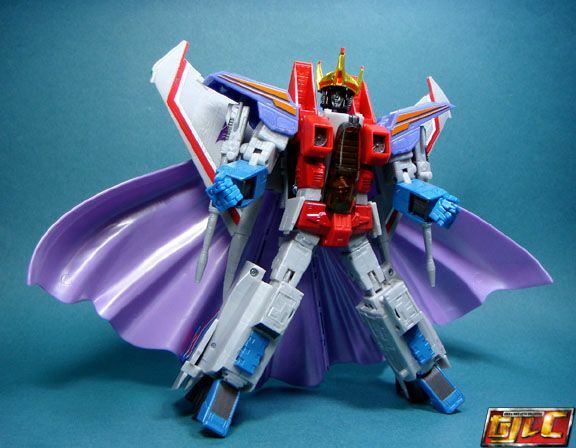 It blows the previous version out of the water in terms of aethetics and cartoon accuracy. 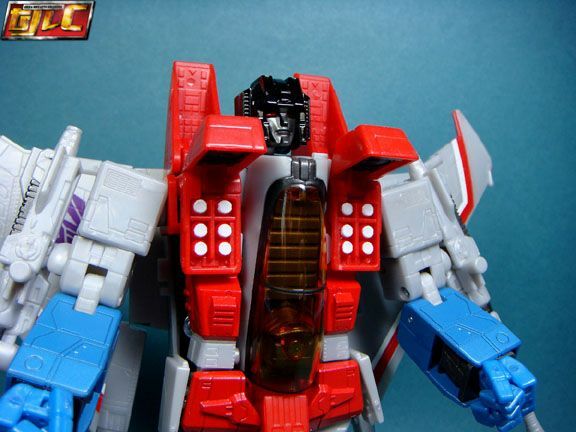 Headsculpt is now more accurate, but they removed the "changing face place" gimmick in favor of a spring gimmick for the sides of his head to pop out. 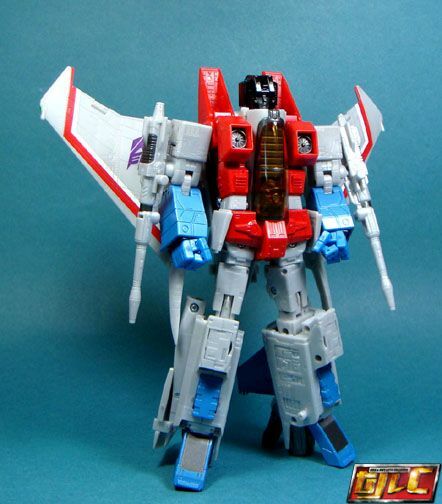 Colors have been made to replicate his look in the 1986 movie. 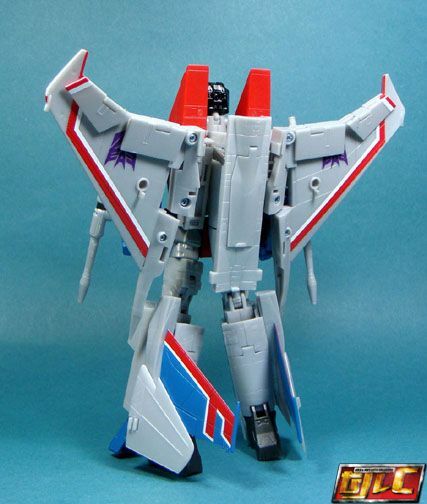 Most of the upper body and arms are reused from the old MP Starscream except for the Null Ray guns (new tooling) and resculpted "ribs" of his body. 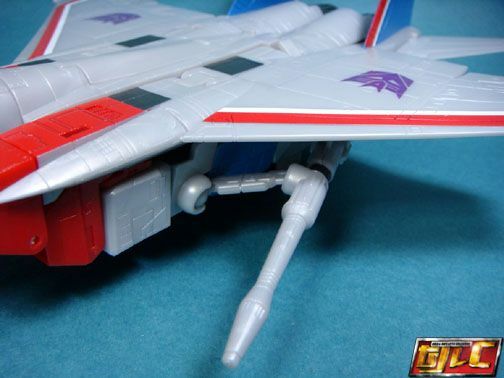 Nosecone radar and air brakes. 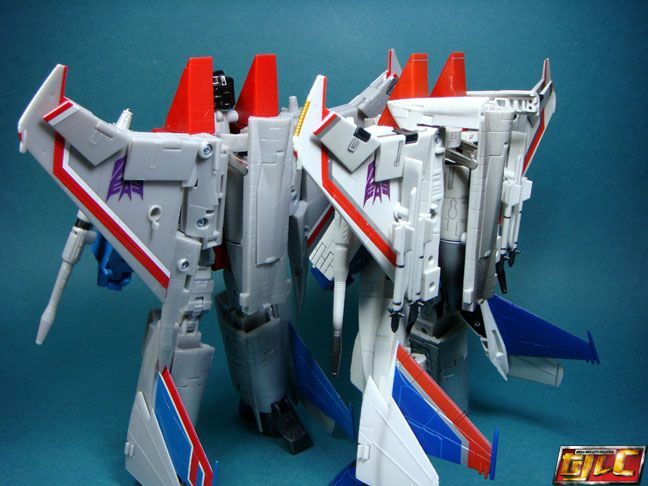 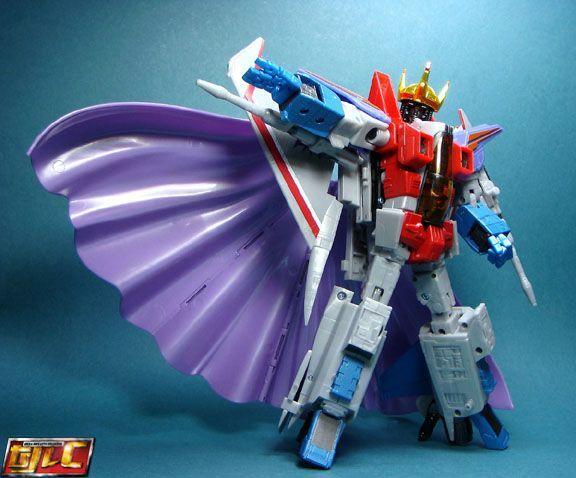 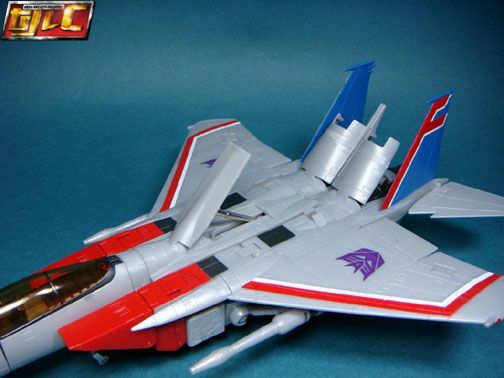 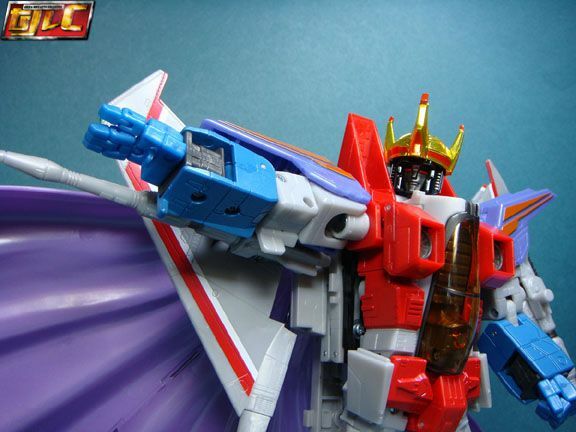 The Null Ray guns are "attached" to Starscream and fold out to the wings in jet mode. 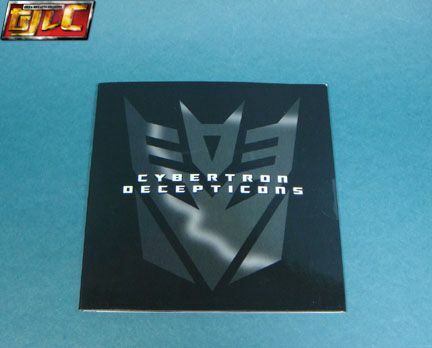 Not really a bad thing, but it does stick out a little. 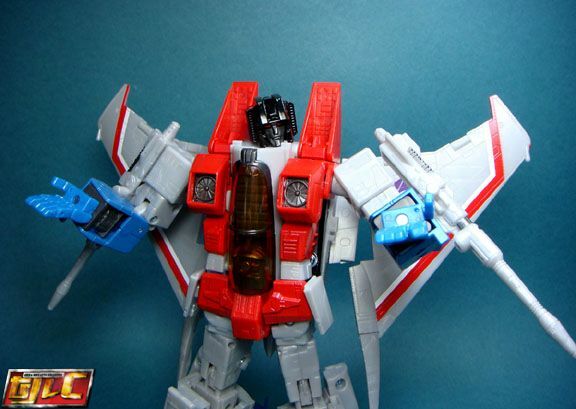 There are no optional wing missile sets included for the new version. 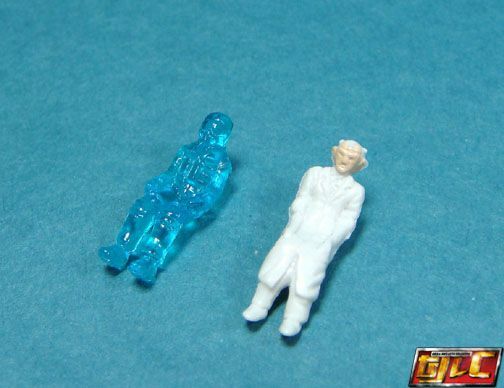 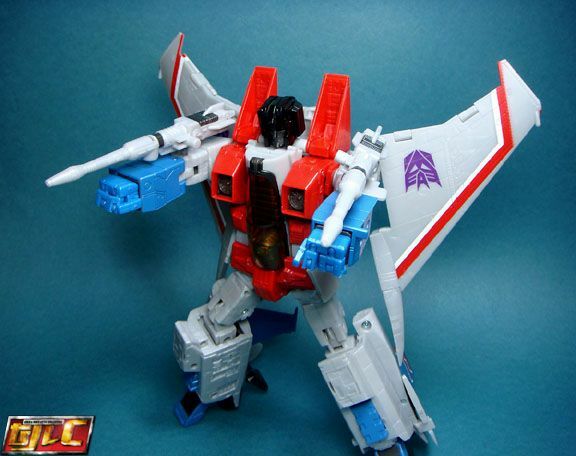 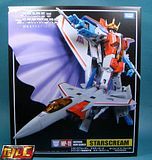 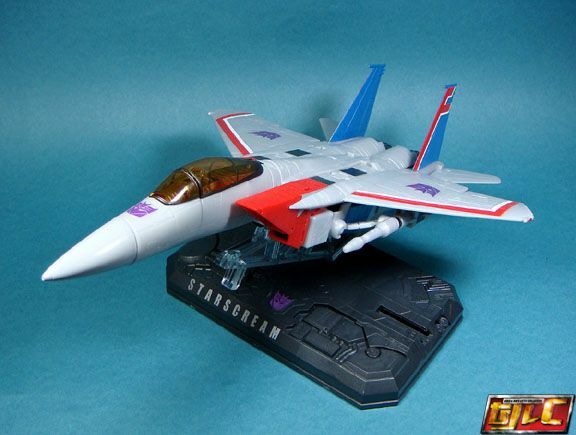 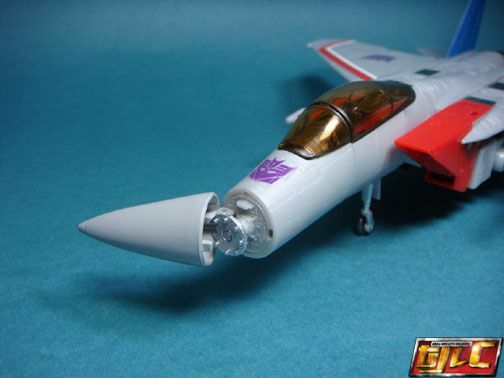 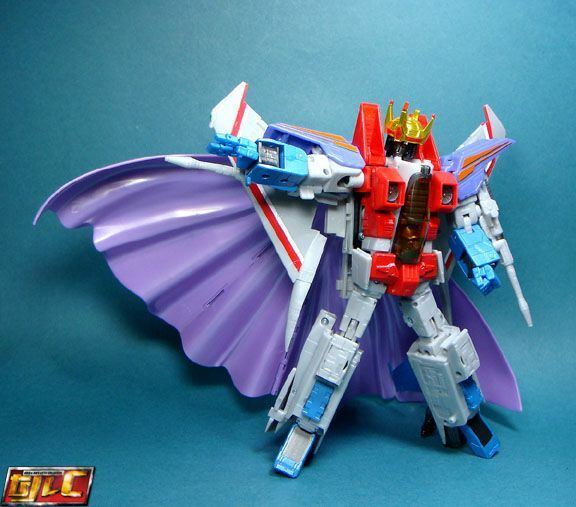 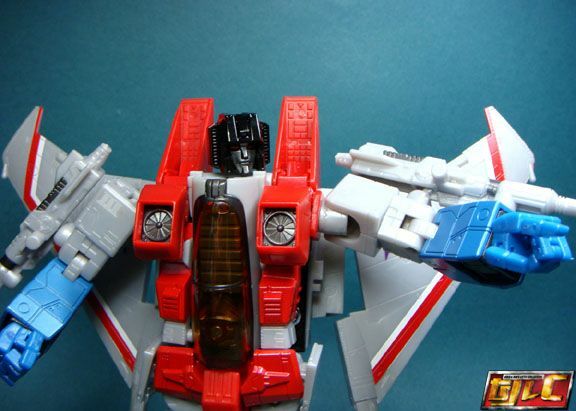 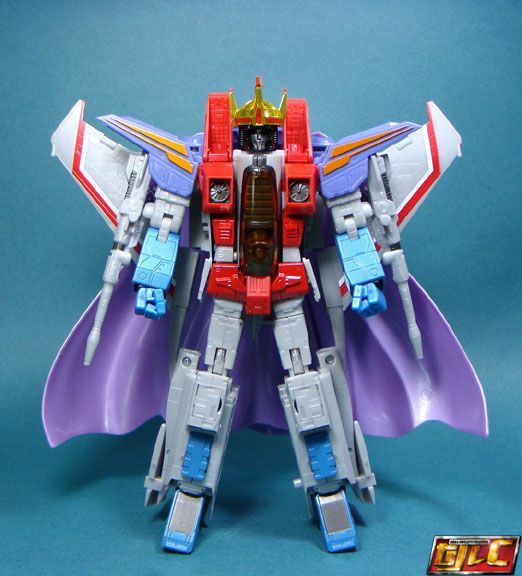 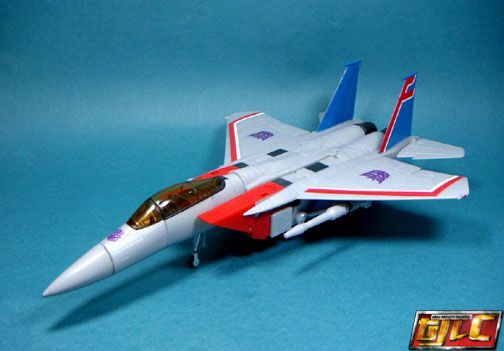 Starscream also comes with "hologram pilot" figure instead of Dr. Arkaville. 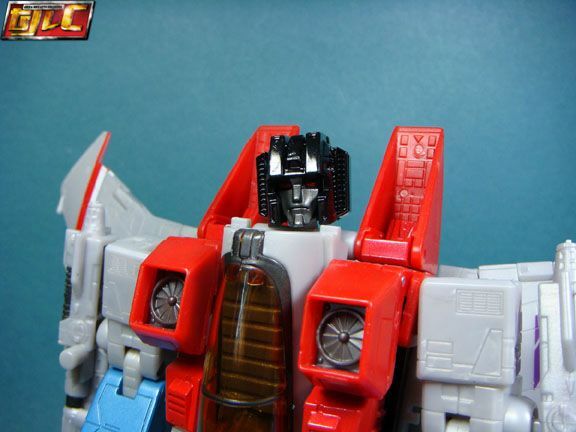 They redesigned the sides and shoulders to have less kibble sticking out and have better accuracy in robot mode. 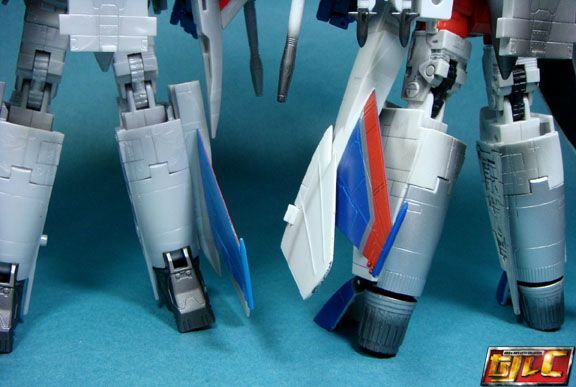 Perhaps the best thing about the new version is added "heels", to make the figure stand better. 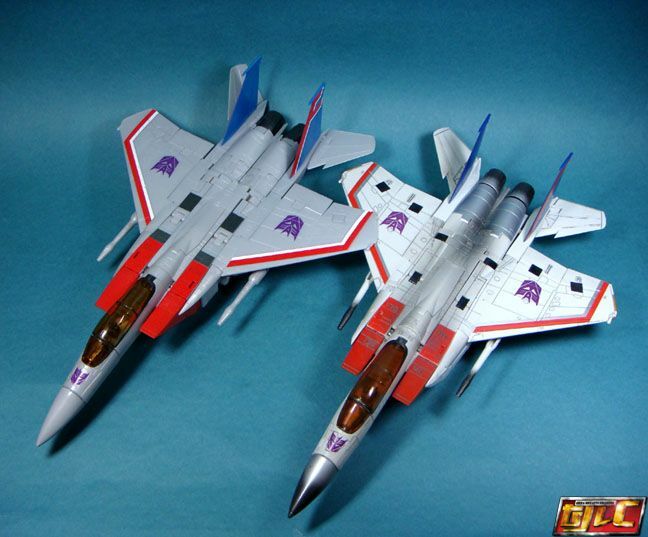 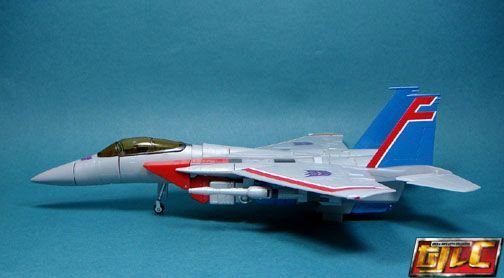 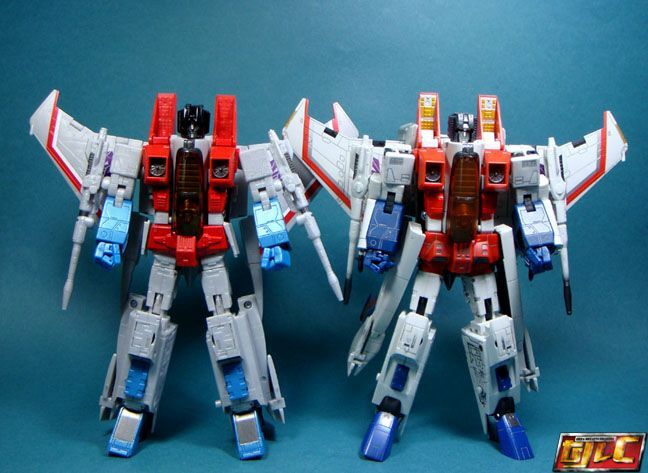 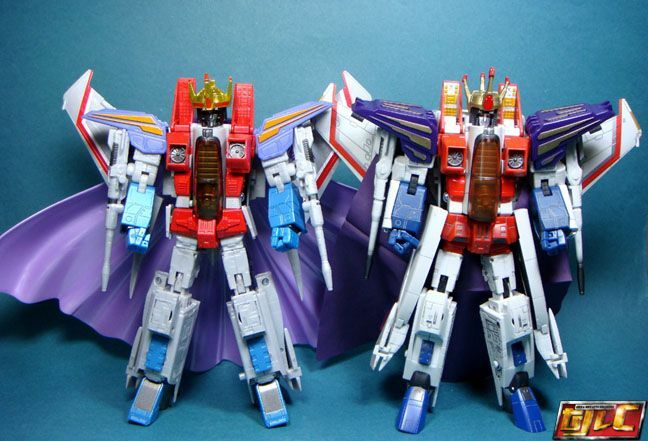 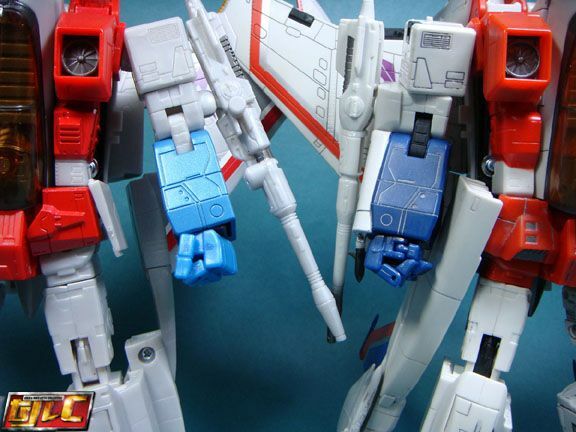 This was one of the reasons why the older versions had trouble standing up, made more obvious when Igear copied the mold and made Ramjet, Thrust and Dirge, they all toppled over quite easily if not displayed with the bases equipped. 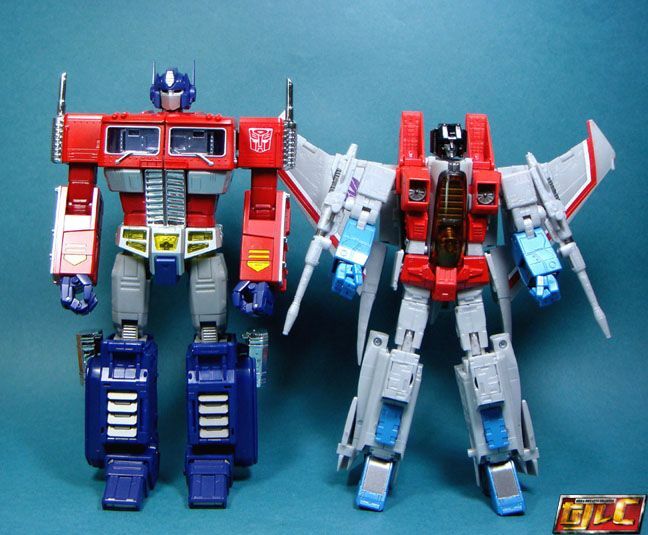 Far as I can tell, both versions have the same amount of diecast metal, in the body support struts and pins. MP11 Starscream does not come with a display base, he can use the one from the older Seekers but he does not seem quite as stable. 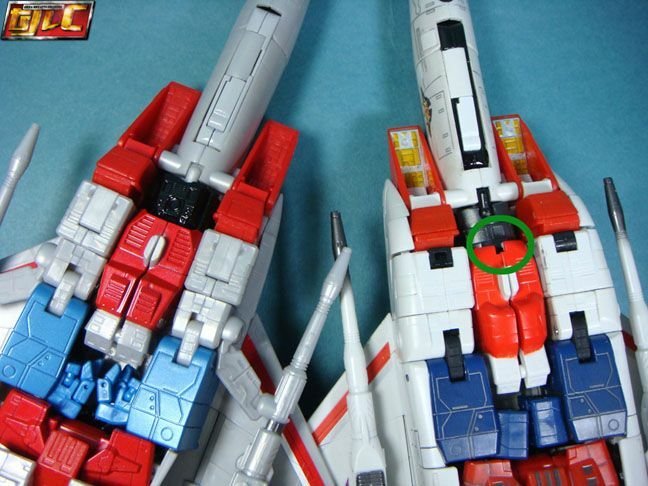 He can be easily knocked down from its perch due to a modification in the newer mold that removed the notch to help lock the jet mode down. 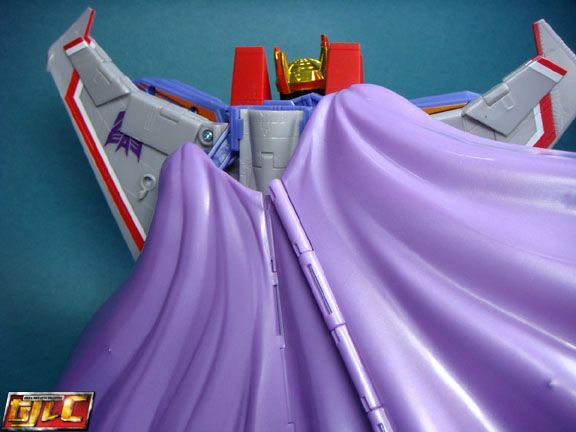 The cape design is very impressive! 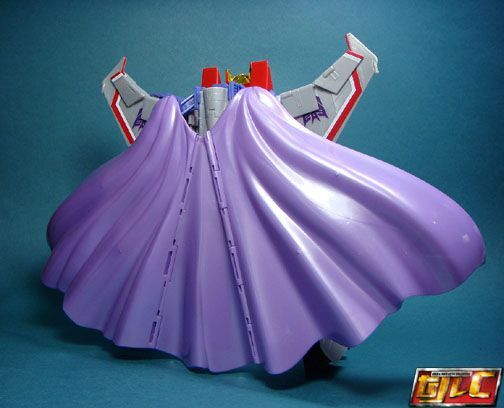 Even though it's plastic, the cape can fold up or fold out and there's a joint system at the top that allows the cape to be posed flowing right or left. 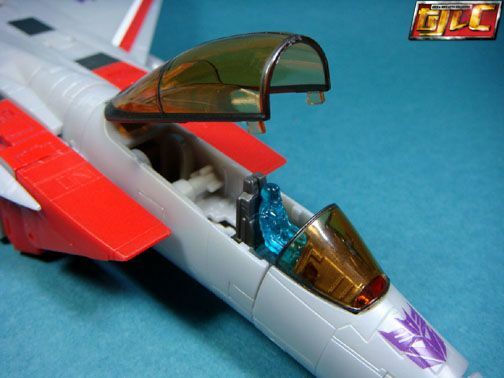 The engineering is something else! 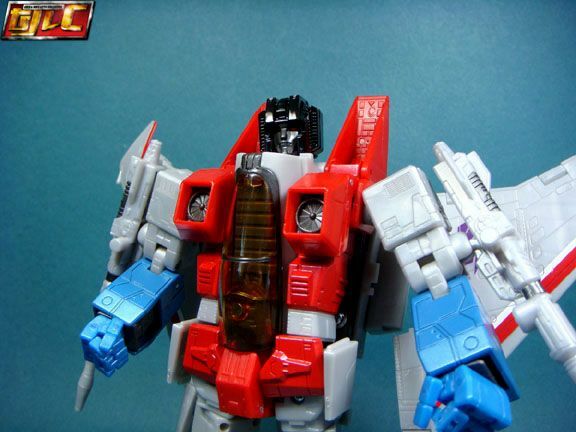 Kudos to whoever thought up this gimmick! 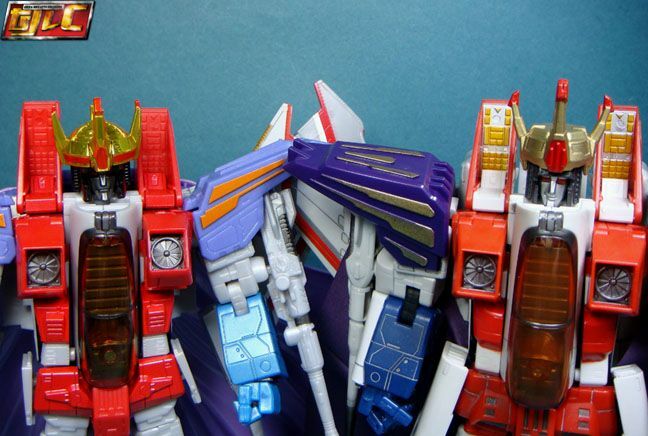 "Fellow Decepticons... as your new leader, I..."